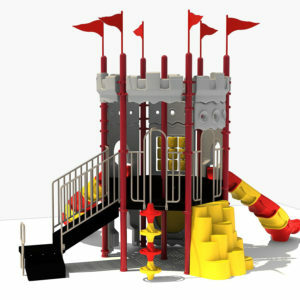 This 5” post system offers several variations, each including inner steps and slides. 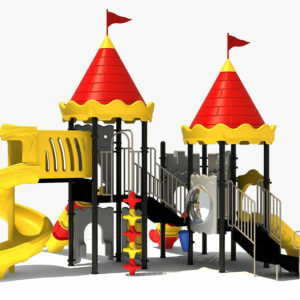 The detailed and durable design, provides a perfect background for children to create their own stories. 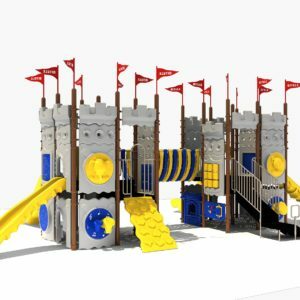 The castle details, right down to the bright blue and yellow will remain in brilliant for decades—we stand by the durability of our product! 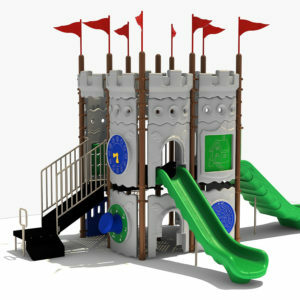 Perfect for a variety of age groups, the Kids Castle features clock panels, spiral slides and curly climbers —ideal for embarking on a quest to find dragons and save the day! 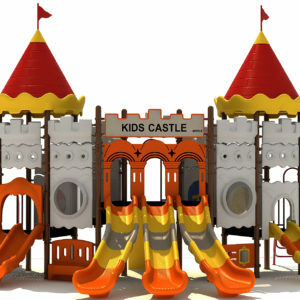 Which variation of our Kids Castle is right for you? Contact us and we’ll be glad to review the details with you.